If you appreciate being pampered by the finer things in life, this European-styled custom home at Glacier Club will have you feeling like royalty. 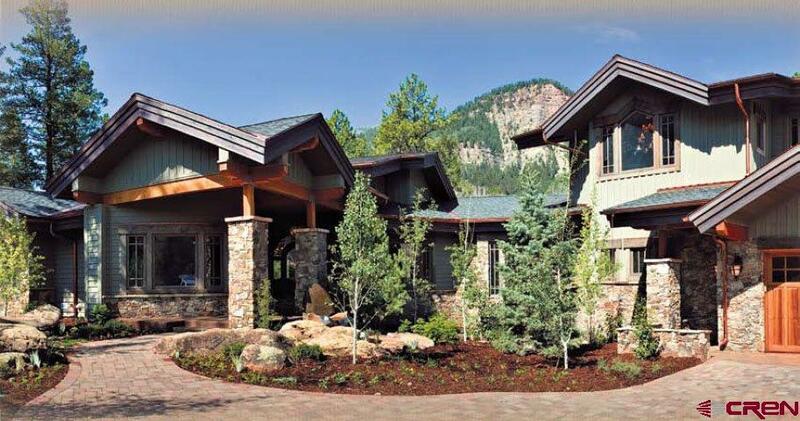 Located 18 miles north of Durango, Colorado and nestled on 1,000 acres of the San Juan National Forest, Glacier Club is a private luxury resort. 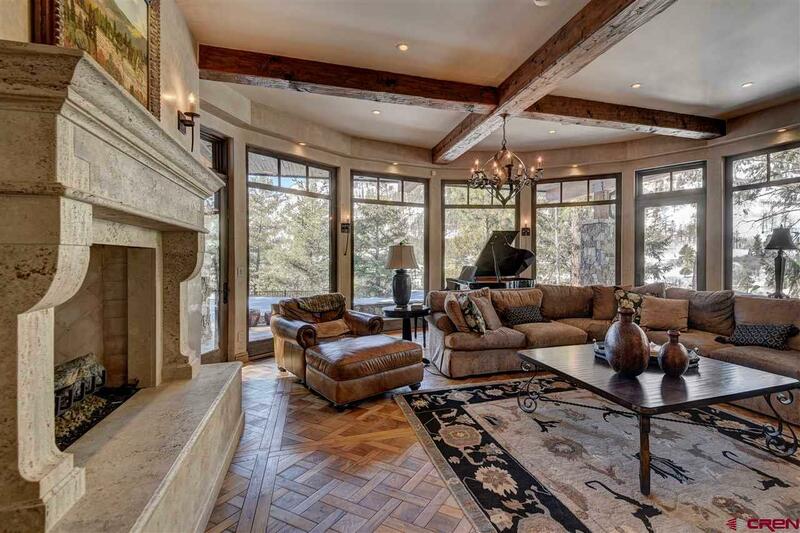 Situated in the guard-gated area of Glacier Club, this 6,720 square foot mountain retreat is perched on over an acre and on a cliff that overlooks the golf course and jagged cliffs carved by ancient glaciers. 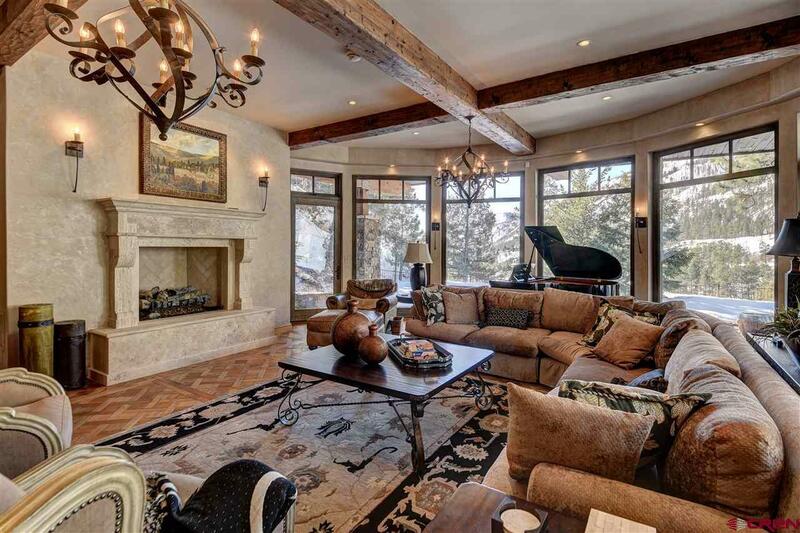 This Classique-built custom home also includes a $70,000 premier "Aspen membership which provides full access to two 18-hole golf courses, two clubhouses, tennis, fine and casual dining options, three pools, and a newly opened fitness center. Glacier Club is just south of Purgatory Ski Resort thereby providing a myriad of both summer and winter outdoor activities for friends and family. 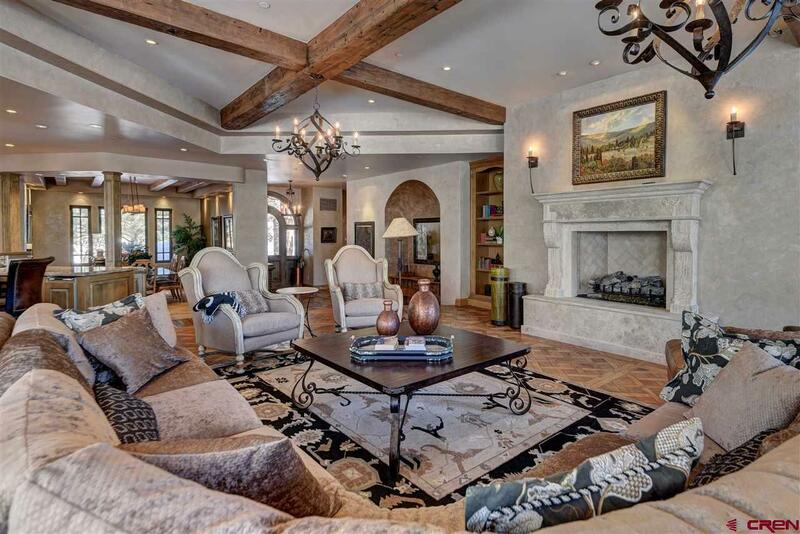 This elegant four bedroom, six bath home has custom details where ever you look- impeccable tile and granite work, hand-laid walnut floors with hickory and ebony accents, wood beamed ceilings, imported Italian travertine fireplaces and grand wrought iron chandeliers. This home is being sold completely furnished with top of the line or custom-made selections by a highly-regarded local designer. The impressive entrance and foyer opens to the large "gathering room with walls of windows overlooking the cliffs and featuring a polished ebony baby grand piano. No need for music lessons- an iPod app runs this player piano. The large Italian gas fireplace is the focus of the room with seating for large groups on the custom sectional. A large adjoining wet bar includes ice maker, refrigerator, wine refrigerator and a drawer dishwasher and is always the center of the party. The master suite and office is located on the main level in a separate section of the home which provides additional privacy. The master bath features "his and her baths that share an oversized steam shower and the "her area also includes a spa bath, vanity and bidet. A stacked laundry closet in the master is an additional convenience. The kitchen features a unique beamed and brick ceiling and is a chefs dream- three Wolf ovens, an eight-burner Wolf cooktop, a warming drawer, pot-filler, steam oven and microwave. Two drawer refrigerators are in addition to the large Sub-Zero. The large island with a prep sink provides ample countertop surface and has under counter seating for friends to join the chef. A closet off of the kitchen provides additional counter space, pantry and a private way of storing small appliances. The "guest master is also the main floor and features a lovely ensuite bath and a second steam shower. Also on the main floor is a media room with a new flat screen TV and a laundry room equipped with front-loading washer and dryer and lots of storage. There are two ensuite bedrooms upstairs and second sitting area with TV in the loft. The lower level of the home is fitted for entertainment as well. A custom pool table, large flat screen TV, and a second wet bar gives this room a "sports bar feel. The adjoining temperature controlled wine cellar features a cozy little table for intimate wine tastings and stores 500 bottles. There are four distinct outdoor areas overlooking the cliffs and golf course. A outdoor travertine dining table that seats six and a gas grill are located directly off of the kitchen. Another area is a gas log fire pit surrounded by teak rocking chairs. Two other areas include chaise lounges for relaxing and a copper-topped table for four cliffside. Outdoor areas are lushly landscaped and irrigated with benches and water features. The oversized garage for three cars has a wall of custom storage and even a dog wash. This home is "move-in ready, has been meticulously maintained by its one owner, and includes all furnishings and a personal golf cart. This home has it all just bring your suitcase!